Revenue declined 8.8 percent year-on-year to Rs 103 crore in quarter gone by but sequentially it increased 19.3 percent. 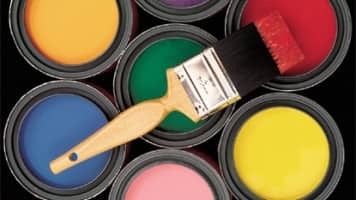 Shalimar Paints on Saturday said it has registered a profit of Rs 1.24 crore during July-September quarter against loss of Rs 2.15 crore in corresponding quarter of the previous year and loss of Rs 2.10 crore in preceding quarter. Operational performance boosted bottomline. Operating profit increased 451 percent year-on-year and 138 percent quarter-on-quarter to Rs 8.71 percent in quarter gone by. Margin expanded by 710 basis points on yearly basis and 427 sequentially to 8.5 percent during the quarter, due to fall in raw material cost (down 19 percent due to low crude oil prices) and other expenses (down 28 percent). Other income fell drastically to Rs 0.04 crore in September quarter from Rs 1.48 crore in same quarter last year. "Both the segments namely decorative and industrial have performed better than first quarter of FY16," Surender Bhatia, chief operating officer and chief financial officer, Shalimar Paints said.